A year has passed since President Trump ended the Deferred Action for Childhood Arrivals (DACA.) This landmark immigration program aided thousands of undocumented young people in the U.S. in getting proper documentation so they could legally work, attend college, get a driver's license, and pay taxes. On September 5th, 2017, Attorney General Jeff Sessions announced the President’s executive decision to end the DACA program. This executive order immediately halted any new DACA applications from being approved, and allowed for a six-month window for current DACA Recipients (Dreamers) to apply for an extension on their status as “permanent residents.” The deadline to apply for an extension was on March, 5th 2018. Despite the Trump Administration’s push to begin deportations of Dreamers, and the inaction on the part of Congress to resolve this issue, it has fallen upon the court system to ensure the safety of its citizens. Federal judges have ruled that the Department of Homeland Security will continue renewing DACA visas, despite the expiration of the program. White House attorneys petitioned the U.S. Supreme Court to overrule the lower federal courts decision. However, the Supreme Court Justices refused a hearing on the topic of DACA. Instead they reaffirmed a lower court's decision that mandates the DHS to continue renewing visas, as well as prevents the Secretary of Homeland Security, Kirstjen Nielsen, from issuing any mass deportation orders. Moreover, the U.S. Supreme Court continues to deny partisan hearings on controversial executive mandates, despite the fact there is a conservative majority seated on the bench. Since President Trump’s inauguration, the judicial system has been halting the implementation of numerous executive orders citing that these orders violate the constitution. This type of checks and balances provided by the Judicial Branch of the government, serves as an example as to why to why the courts are still important and relevant in today's society. Over the past year, public opinion polls show over 79-percent of Americans are in favor of Dreamers having a pathway to citizenship. Despite the overwhelming support of the American people, many are criticizing congress for not acting on behalf of the people they are elected to represent. House Minority Leader, Nancy Pelosi (D-CA), has issued multiple statements showcasing her frustration with current stalemate congress is in. She spoke to reporters concerning the lack of action taken on behalf of congress to protect Dreamers. Rep. Pelosi continued on to say the federal court system shouldn’t have been compelled to step in and protect people from getting deported; that problem should have been solved by the those who were elected to represent their constituencies in congress. Before the House of Representatives voted on the proposed government budget, Rep. Pelosi made history for giving the longest speech on the floor of the House of Representatives. Pelosi spoke for more than 8 hours, reading testimonies from Dreamers from all across the country. At one point she even read from The Bible. Around 6-hours into her speech, the House Historian had a note sent to her announcing that the Minority Leader Pelosi made history by breaking the record for the longest speech in the House. The reason this speech gained so much attention was because in the House of Representatives there are strict time-limits on speeches by congressional members. Unlike in the Senate, where potentially a senator or other member of their party, can speak as long as they want, holding up the vote on certain key matters. The term used in the Senate is called "filibustering." But, the House has rules against this. EXCEPT, when it comes to party leaders. There is a loophole in the House of Representatives which allows the leaders from each major political party (House Speaker & House Minority Leader) to have a "magic minute." This minute has to be yielded to them by another member of congress, usually a person from the same party. Once this minute is yielded to the leader, time-restraints are lifted and they can speak for as long as they wish. But, it's not easy. In the senate, other senators are able to help each other, and take turns giving speeches during the filibuster. That is not the case in the House. If a leader decides to use their magic minute, they cannot take a bathroom break, they cannot sit down, and they have to stay in the house chambers at the podium. Since Rep. Pelosi is the House Minority Leader, she decided to use her magic minute to highlight the issue of DACA and the possible deportation of Dreamers. Despite political affiliation, people on both sides of the aisle were in awe, and congratulated the 70-year-old politician after she ended her speech. Also, many people pointed out that not only did she make history by giving this speech, but she spoke for 8-hours in 4-inch high-heels. Despite all the political volleys and statements from each party, concerning DACA, not many people know exactly why this policy was created. This program was created to protect individuals from deportation who were brought to U.S. illegally as minors. 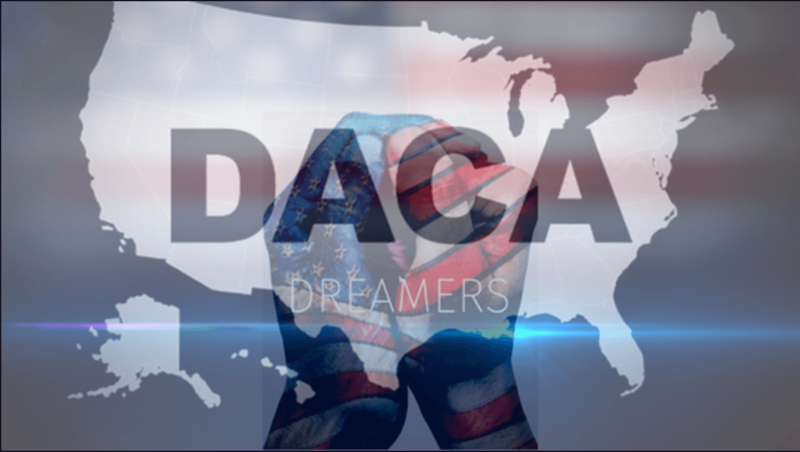 DACA is a policy derived from the DREAM Act of 2001. This piece of legislation provided a pathway to citizenship for millions of undocumented immigrants within the U.S. However, it failed to pass both houses of congress multiple times since 2001 when it was first introduced. In 2012 President Obama announced to congress, and the nation, that these young people, Dreamers, “were brought to this country by their parents -- sometimes even as infants -- and often have no idea that they’re undocumented until they apply for a job or a driver’s license, or a college scholarship.” Obama went on to ask Americans to put themselves in the shoes of these Dreamers and try to empathize with a whole generation of young people who have no say when it comes to their fate or their future. This unprecedented speech, drew praise from countries and leaders across the globe. However, it did garner a lot of criticism, as well, from people within the U.S. Despite, some harsh comments from the Republican party, the Obama Administration began issuing DACA visas for over 800,000 undocumented young people. Since the implementation of DACA in 2012, over 800 thousand people are now legally documented residents of the United States, with hopes of becoming American citizens. Many of these Dreamers are teachers, students, as well as members of the U.S. military. Despite the pushback from people across the nation, the President is still requesting for more money for a wall to be built along the southern border of the U.S. in hopes of curbing illegal immigration from Mexico. The democrats in congress have said they are willing to give the President money for the border wall, as long as the legislation is in tandem with a clean DREAM Act that would provide a pathway to citizenship for at least 800,000 Dreamers. So far, no deal has been brokered that has made it to the president's desk. In the meantime, many members of Congress think DACA recipients will continue in this "political limbo," especially with the courts ensuring that renewals can continue, for now. Despite the politics and passion behind this issue, it is compelling to think about what Fmr. President Obama recently said, that "never before in American history has a whole generation of young people faced the possibility of a mass deportation." Check out the video below, which is an episode of KUSI's "San Diego People" concerning the topic of illegal immigration and the building of a "Border Wall". This segment discusses the major issues surrounding the implementation and possible ramifications of an advanced border defense system being placed along the U.S. southern border. Two guests sit down with KUSI news reporter Dan Plante to discuss how this issue impacts the city of San Diego, which is home to the largest and most frequently used land crossing between the U.S. and Mexico. This episode was written and produced by Colton Salaz. This episode of "San Diego People" aired on KUSI News on 08/21/2016.